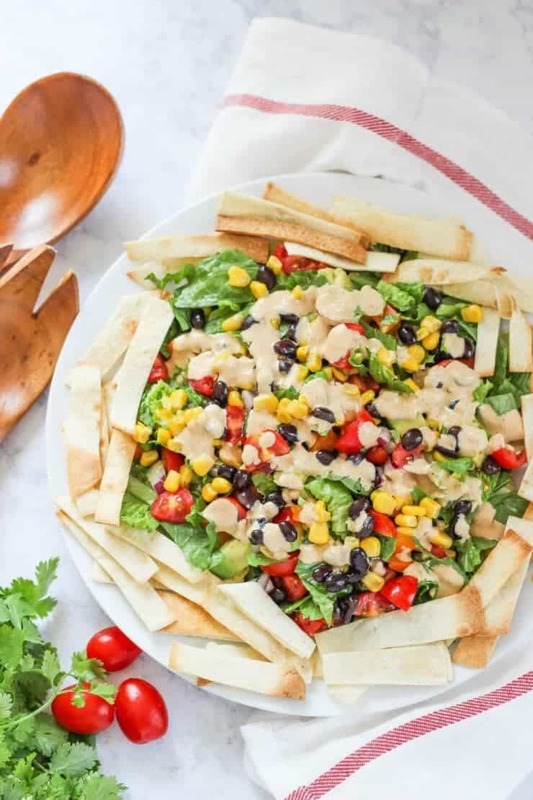 Mexican Salad with Chipotle Dressing – A fresh and flavorful salad recipe surrounded by baked tortilla strips and topped with a homemade chipotle dressing. 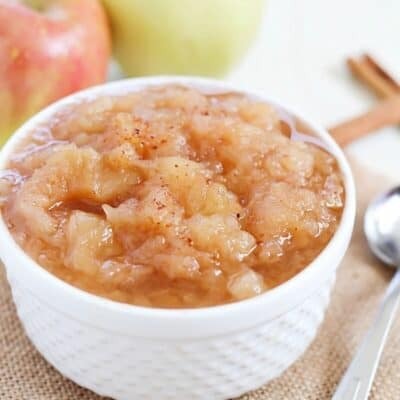 Easy to make and even more delicious to eat. This Mexican salad recipe is sure to become a family favorite! 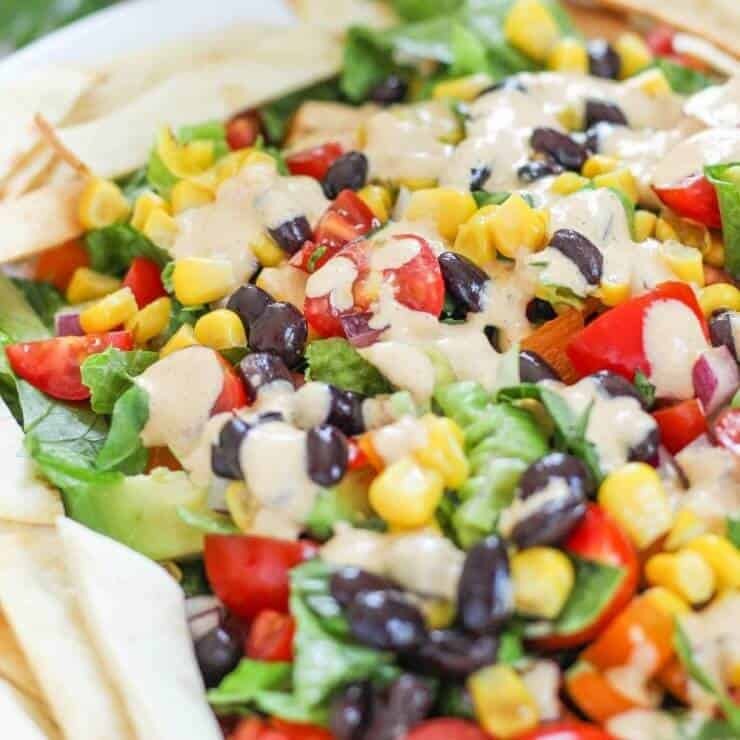 This Mexican salad with chipotle dressing is so easy to make and tastes incredibly fresh! 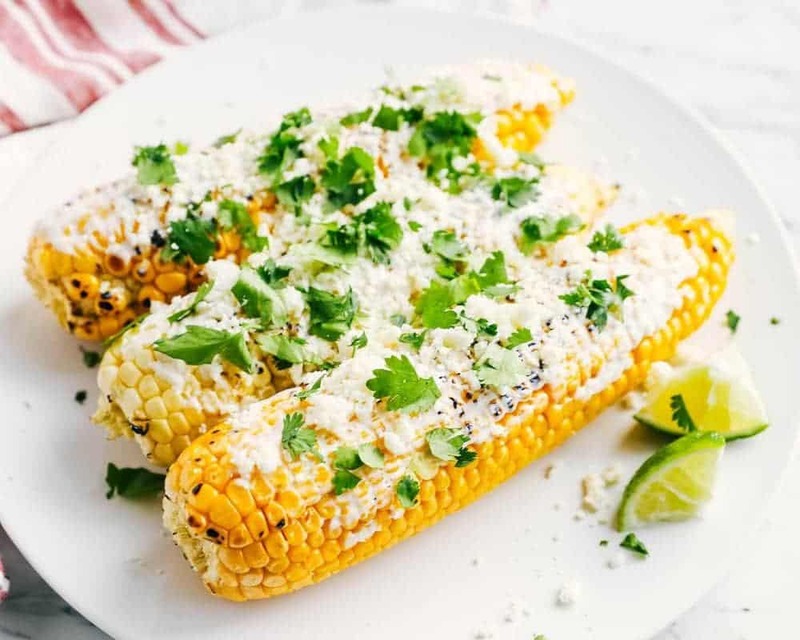 It’s super flavorful and refreshing, making it perfect for summer. 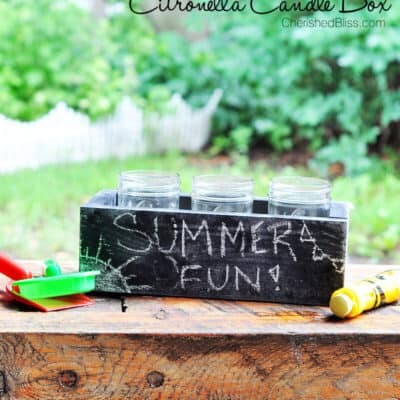 And it’s also great for using all of those fresh garden vegetables and farmer’s market produce. What I love about this Mexican salad recipe is that it’s perfect for both lunch and dinner. You can enjoy the salad as a main meal or a side dish and it can even be made for meatless Mondays or taco Tuesdays. It’s a double win! 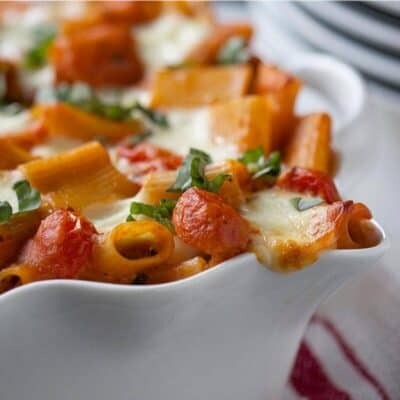 This is definitely a new family favorite and will be put on the meal rotation for sure! 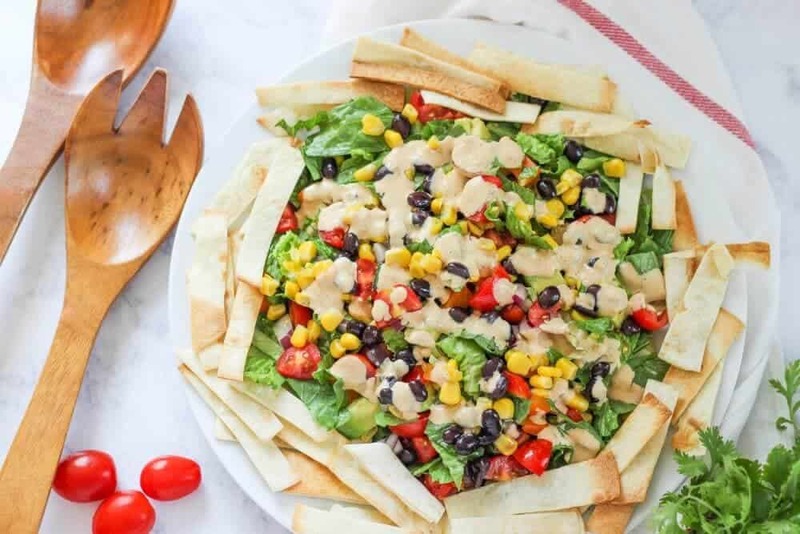 There are three separate components to this dish: the chopped salad with fresh vegetables, homemade chipotle salad dressing and easy baked tortilla strips. This recipe is so fresh, vibrant and super easy to make. Just follow these simple steps to get started. Scroll down for the printable Mexican salad recipe. Preheat oven to 400 degrees F. Spray both sides of tortilla shells with non-stick cooking spray. Align prepared shells in an even stack and cut down the middle. Dice the halves into about 1/4″ strips. Arrange strips in a single layer on a silpat lined baking sheet. Season with salt to taste. Bake for 10 to 12 minutes until golden brown, flipping the strips once during baking. While the tortilla strips are baking, chop lettuce, tomatoes, orange pepper, onion, and avocado. Drain and rinse the corn and black beans. 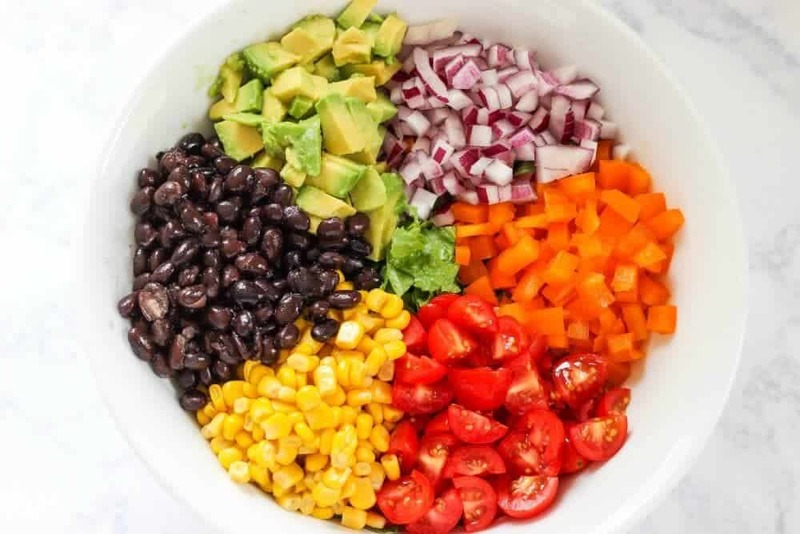 Add chopped vegetables, corn, and black beans to a large bowl. In a blender or food processor, combine cilantro, sour cream, chipotle in adobo, lime juice, taco seasoning and salsa. Pulse chipotle salad dressing until creamy and smooth. Pour the chipotle dressing over the bowl of vegetables and toss until coated. You can top the salad with the tortilla strips or serve on the side. The Mexican salad is best served cold. I used mild taco seasoning mix and salsa for the chipotle dressing, since I am using chipotle peppers. You could definitely use a medium or hot, depending on your heat preference. Want to lighten up the chipotle dressing? Try using plain greek yogurt instead of sour cream (or even light sour cream). Don’t want to make your own tortilla strips? Store bought are fine too. Looking to add more protein? 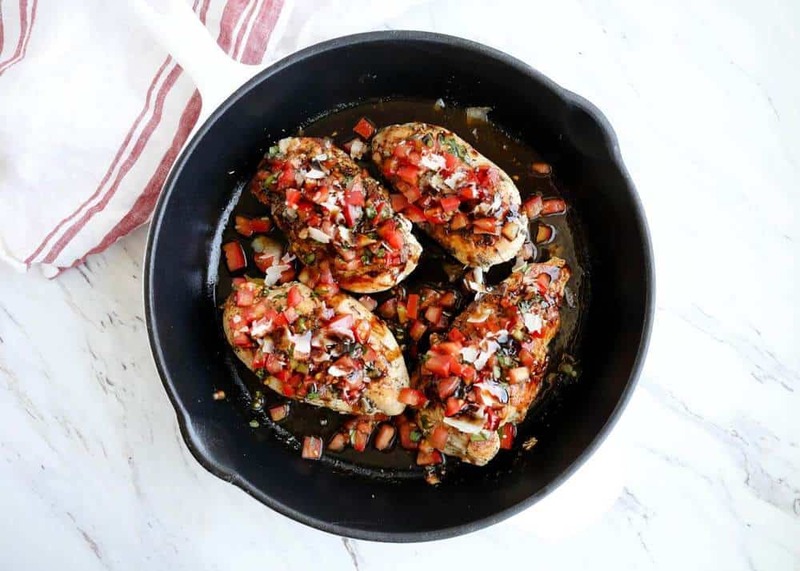 Add grilled or baked chicken. Steak would also be delicious! This Mexican salad is best served cold. Mexican Salad with Chipotle Dressing - A fresh and flavorful salad recipe surrounded by baked tortilla strips and topped with a homemade chipotle dressing. Easy to make and even more delicious to eat. This Mexican salad recipe is sure to become a family favorite! Pour the chipotle dressing over the bowl of vegetables and toss until coated. You can top the salad with the tortilla strips or serve on the side. The Mexican salad is served best cold. This was a great recipe! The flavors blend wonderfully and it was very colorful. We took it for a pot luck dinner and it was a big hit! Thanks for sharing. Totally adding this to my dinner menu! That dressing sounds amazing! I love all the colors in this salad! Always looking for a tasty salad that is so simple.